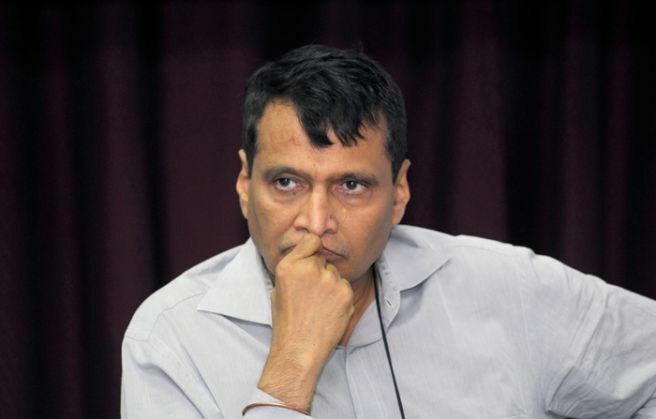 A woman passenger travelling alone on an outstation train in Maharashtra was immediately attended to by authorities after she sought help through a tweet directed to the Twitter handle of Railway Minister Suresh Prabhu, informed a senior Central Railway officer. The commuter, identified as Namrata Mahajan, had posted the tweet, which was directed to Prabhu's handle @RailMinIndia, at 6.59 pm while she was passing through Shegaon railway station on 26 November. "@RailMinIndia plz plz help in train no 18030. One male passenger harassing me at Shegaon. I am in train and terrified," she tweeted. @RailMinIndia contacted 182 helpline no they assured me help near bhusawal. Central Railway chief PRO, Narendra Patil said a senior officer, Ved Prakash, immediately noted the tweet and contacted him to do the needful to help the woman. "But she (Mahajan) has not given full details of the train she was travelling in. So a reply seeking details of her train and her berth position was sent to her Twitter handle. She was also asked to contact security helpline number 182 which she did after sometime and also gave details about her position via twitter," said Patil. As the train reached Bhusaval railway station in 40 minutes, the woman was immediately attended by RPF jawans, he said. Relieved after getting the swift assistance, Ms Mahajan thanked the minister. "@RailMinIndia sir help reached to me. Thanks a lot sir," she tweeted. When asked why she felt distressed, Mr Patil said, "the man had a wait-listed ticket and his behaviour and body language did not seem to be decent and since Mahajan was travelling alone, she felt terrified". The male passenger was shifted to another coach as he had a valid ticket. Mr Patil also appealed to passengers to dial the national security helpline number 182 in case of any emergency.